Well kids we have reached that time, February is over. Perhaps the sun will decide to pop out now? Perhaps not. 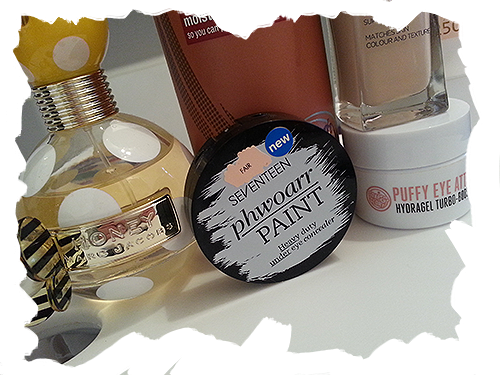 Anywho, I've tried a lot of new products this month and some have managed to sneak their way onto my favourites list for last month. For foundation I have been loving the L'Oréal Paris True Match foundation. I actually have this in three shades, is that bad? My 'true match' if you will is the shade C1. This is a medium to full coverage foundation and it creates such a beautiful look without being too heavy. Expect a more detailed review within the next week! I have been on the hunt for a new concealer this month as my dark circles have been pesky and persistent. So far I have really taken to the 17 Phwoarr Paint under eye concealer. Advertised as a heavy duty concealer, this really could not describe it any better. This concealer hides my dark circles beautifully. It lightens the area very subtly making me look more awake. The staying power of this is superb, though I would encourage setting it with a translucent powder as well. Again, a detailed review of this and a few other concealers I've tried this month will be up soon, stay tuned! 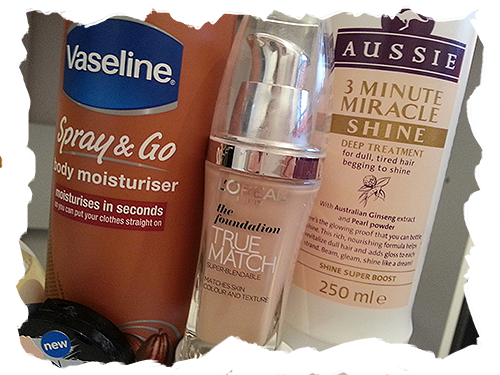 February has been a busy month for me, so when I picked up the Vaseline Spray & Go moisturiser in the cocoa-radiant version my days were made a whole lot easier. I am incredibly lazy when it comes to moisturising my body as it feels like a massive chore. Plus there's the whole waiting around for it to dry if it's very rich, ugh. Honestly I'm surprised a similar product hasn't been released before, to my knowledge anyway. This is so convenient to just spray on after a shower and rub it in quickly, you can then get dressed pretty much straight away. My perfume of the month has been Marc Jacobs Honey. I actually got this for Christmas but I just have too much perfume to get through! This fragrance is simply perfect for spring. It is light and fresh and ideal for a daytime perfume. It is very sweet with fruity undertones, but it isn't too overpowering as it's a delicate scent. Come on, I can't not mention the bottle can I? 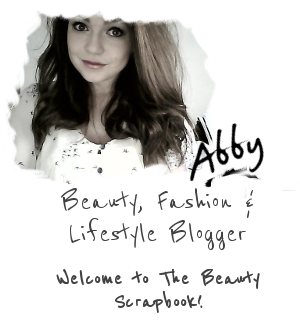 It's truly adorable and looks lovely on my dressing table! For my hair I have been using the Aussie 3 Minute Miracle Shine deep treatment to put some shine back into it. I tend to use heat tools on my hair on a daily basis so it can sometimes start to look very dull and lose its shine. This has been my little miracle in a bottle. After one use of this little beauty my hair had its shine reintroduced and it felt much softer. I now incorporate this treatment a couple of times a week into my shower routine to ensure it still looks alive after all the abuse I give it! Last but not least, I have been using the Soap & Glory Puffy Eye Attack Turbo-Boost Hyrdragel to de-puff my eyes in the morning and wake me up a bit. This has been very kind to me this past month. It is a very light gel that is very soothing and glides on under the eyes beautifully. The list of things it does to benefit your eye area is almost unbelievable. It tackles dark circles, firms and tones the area, boosts collagen production, cools and moisturises as well as kick-starting stagnant under-eye circulation. I'm surprised this doesn't perform tricks as well, it seems to do everything else! A little goes a long way and just a tiny dab into the pot will cover one eye area. Coming in at £12.50 this isn't the cheapest eye gel out there but I feel it is worth that price to not have eyes that are puffy and unattractive. 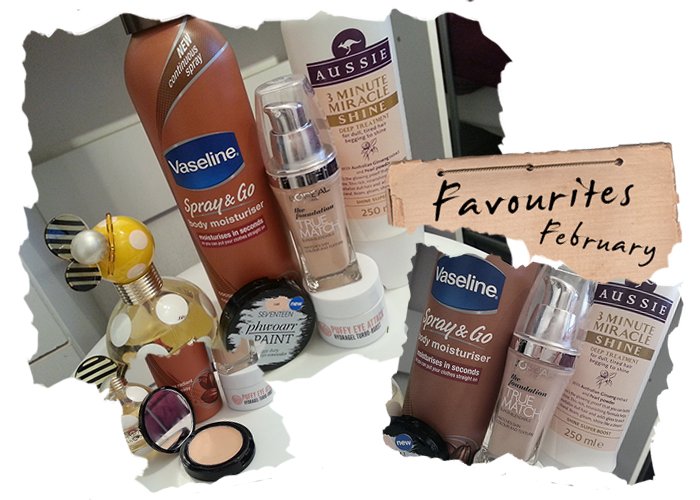 Those are my favourite products for February guys, I hope you enjoyed this post! What are your favourites for February? Aussie conditioners are fantastic, love them ! All great favourites! I love that Marc Jacobs perfume so much! In fact, all Marc Jacobs perfumes haha.